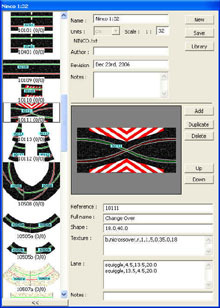 Ultimate Racer's layout editor is a powerful but easy to use slot track design tool for all popular brands. 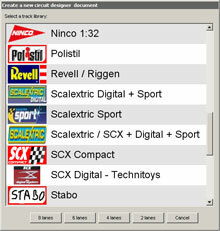 Out of the box support is included for Scalextric, Carrera, Ninco, SCX and many, many more brands. You can even plan your own routed wood track. UR's user friendly interface makes it intuitive to use. You handle track sections like real ones; add them, remove them, replace them, flip them. 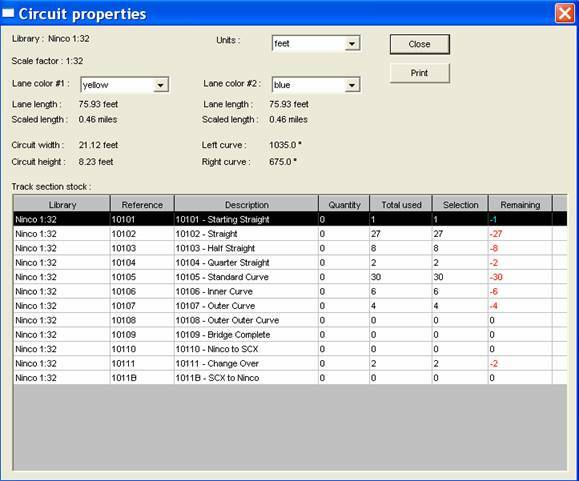 The Circuit Properties window gives you accurate information on your layouts, including individual lane lengths, total circuit size, track scale, and scaled lane length, with your choice of Metric or Imperial measurements. 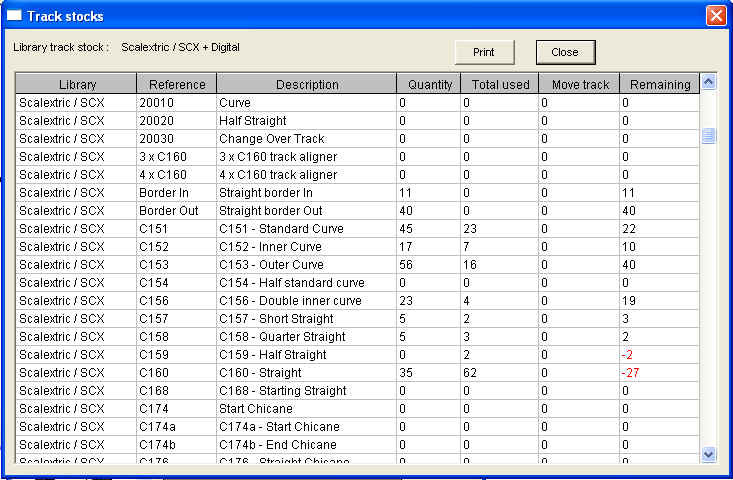 Manage your track stocks for each circuit you design. 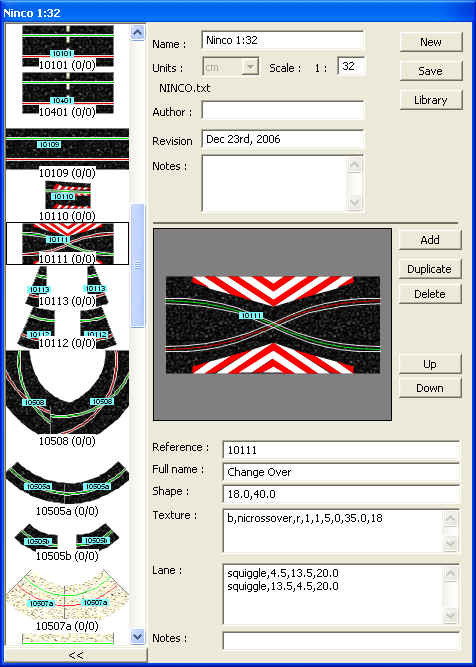 Enter the number of pieces you have of each track section and Ultimate Racer will keep track of how many pieces you've used and how many you have left, or how many you might need for any circuit design. 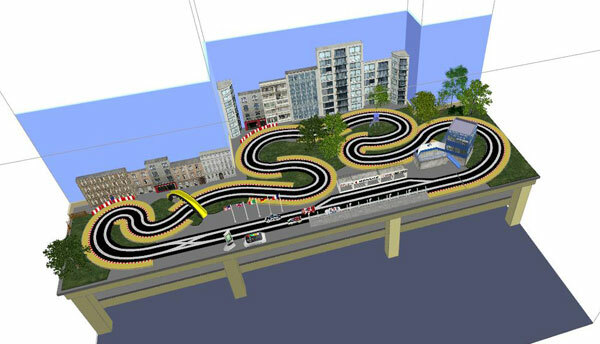 Ultimate Racer's new and improved 3D features allow track elevations, 3D rooms and shapes, and the addition of 3D scenery models. 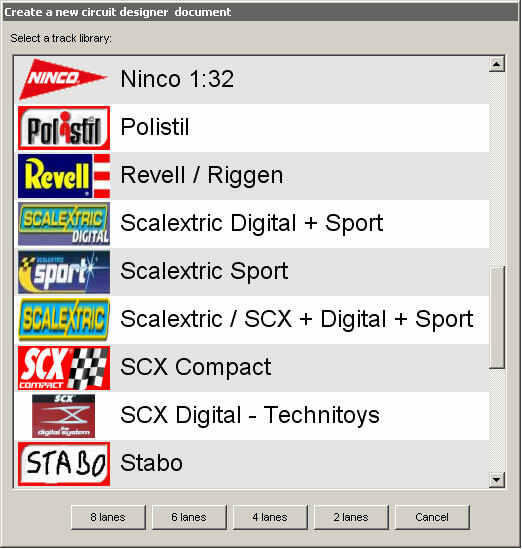 The Library editor is a graphical tool for customising or adding your own specialised track pieces. Smart zoom functions, including "fit to screen" and "cursor selection zoom"